Maxi or knee-length cardigans, in black, grey or burgundy, are unexpected winners at the Nordstrom Anniversary Sale this year. 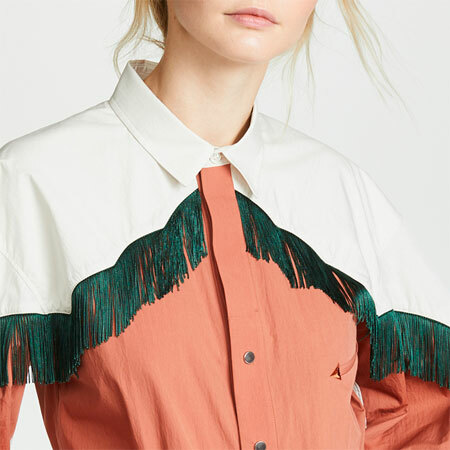 The silhouettes are straight and simple, which means no fussy waterfall collars, A-line flares, ties around the waist, round-bottomed hems, or cocoon-shaped torsos. The maxi cardigans are fluid on the waist, and streamlined on the hips and legs. The item is popular among my clients because it’s a practical, versatile, slimming, camouflaging, comfortable and a fairly dramatic addition to an outfit. Here are the top four ways we have been styling them. The maxi cardigan became a fast favourite to wear over sleeveless dresses as a way to cover up arm exposure, AND add layering interest to an outfit. It’s also a great way to add warmth in cold air conditioning during the Summer months. Wearing a sleek long cardigan over a tailored or body-con sheath dress is a logical pairing because the silhouettes are similar. But the straight maxi cardigan looked as good worn over a flared dress. More unexpected and fashion-forward. 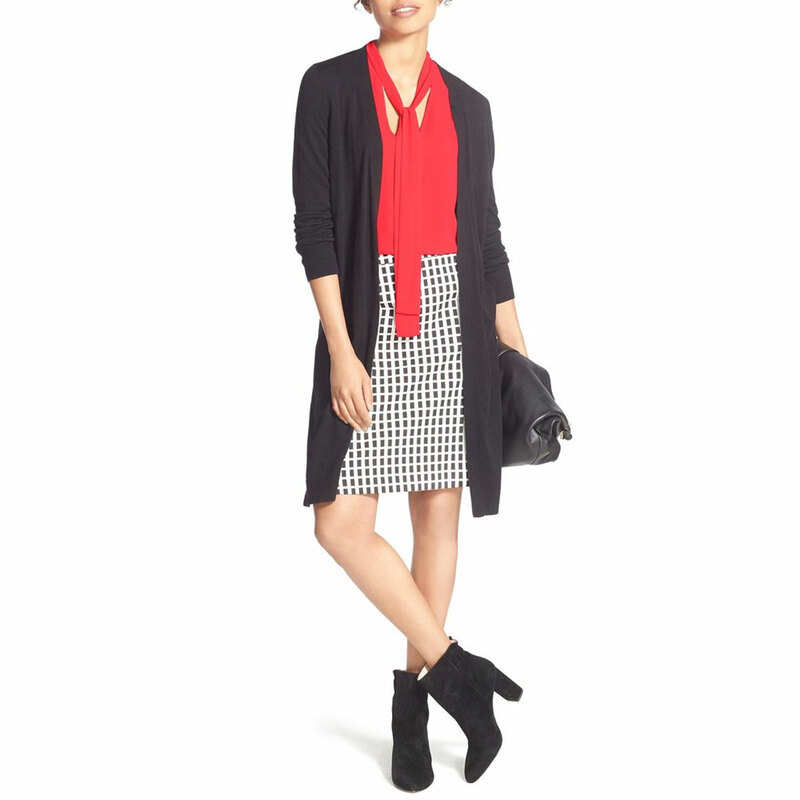 Layering a maxi cardigan over a pencil skirt and top has the same effect as layering it over a sheath dress. You can create a high contrast between the top and skirt like the picture shows, if that’s more to your taste. The ease and comfort make this combination an instant hit with those who stay or work at home. The picture below doesn’t quite reflect the outfits I’ve been putting together with clients because the top is short and the footwear is dressy. Instead, combine an interesting asymmetrical tunic with the cardi, and think chunky loafers, slip-on sneakers, flat oxfords or pointy-toe flats for footwear. This was my favourite combination because it was the least expected and most fashionable. It’s counter-intuitive to wear a long top over flared/straight cropped pants or jeans, but it looks fresh and fun. As long as the lengths of the items are right, and the style of the footwear complements the bottoms — you’re in business. The top on the model below is short, but feel free to substitute it with a tunic, either with a straight or an asymmetrical hem. Cardigans are not my thing, but I love these combinations on others. What I like most of all is how happy the outfit formulas have made my clients. The drape and swoosh of an unbuttoned, simple maxi cardigan has a graceful and soft integrity that is quite powerful. thank you so much for this…i have a burgundy maxi cardi that i got at target last year, and i’ve worn it with leggings and skinny ponte pants, like your 3rd example, but i would never have thought about wearing it with my new cropped flares… what a fab idea…..
It’s a duster. But it’s knit. Not my cup of tea, and I can’t say I like the “gilet” alternative better. I suppose I don’t like long toppers in general. I picked one up a few years ago to wear with loungewear and was surprised at how much I liked it over leggings. Must give it a whirl over crops! I don’t have any maxi length cardigans – my longest ones reach mid-thigh, but they look fun. I especially like the idea of wearing them with cropped flares. I would be interested in a medium-weight knee length charcoal version for the fall if I fond the right one. This is definitely I look I will happily participate in! I have been a fan of this look for years and will continue to wear and enjoy it. Thank you for the wonderful styling ideas.. As always! This is a timely post – and I love that the styles now are sleekier and less fussy than the waterfall cardigans that I find so overwhelming. I’ve always been tempted by a longer cardigan for warmth and for drama, but I haven’t found the right one. I think Tanya and I may be looking for exactly the same one. I wear my dressy maxi cardigan over a long-sleeved silk dress. That works because the silk sleeves are very thin. I am interested to explore some of these combos such as over leggings. I know you like the longer tops, but these pictures show what I’ve been wondering – what about the cardigan being the piece that brings modesty instead of the tunic. And even using contrasting colors is ok. So the last picture where the top and bottoms and cardigan all contrast is as ok as the third picture where the top and leggings are the same color. Cool! This is not a look I wear but with the sleeker options available now I’m more drawn to the idea. Thanks for this post. I think a long cardigan might make its way into my casual wardrobe this fall if I can find one a the right length. I can see these working well in our cold climate. Like your clients, I find this look easy to wear. I wore my black Halogen long cardi to death last winter and reordered two, in black and in grey, at NAS. I’ve tried all the combos you show, except for the flared crops and top. Love that one! Very creative! I’m 5’4″ which is the cusp of petite, and have a tough time with items like this. Too long, and they swamp me. True petite sizing can often be too short, and then it’s just a cardigan. Yay! I love sweaters! I have some “grandpa” type cardigans but they aren’t as long as these. I have a question though, when worn over a dress or skirt your examples show the sweater longer than the dress. Is that the important part of the proportion? Love these with the cropped pants too. Do they have these in petite sizes? I’m just thinking they’d be awfully long on me. Thank you for the great styling ideas. As a petite, I feel that they are not easy to wear but love the look on others. I had the same question as RobinF. 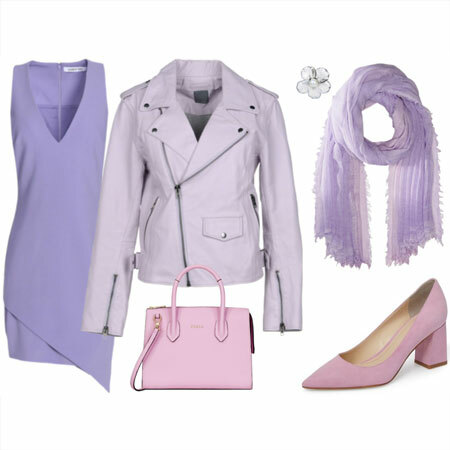 Your examples with dresses or skirt show the cardi just a bit longer than the hem underneath. What if the cardi is shorter? Or significantly longer? To the petites — I’m 5’4″ and I have two of these. Not too long — they are somewhere between just above the knee and just below the knee on me. I would say, give them a try! You never know. Mine come from different brands — one is Banana Republic from several years ago, and one is from last year’s NAS. I’ve decided that this is my favourite type of cardigan, and pretty much the only kind of cardigan I will wear. I wore mine last year with kick crop jeans. And yes, I’m short! It was “just flattering enough” with toned in, higher shaft booties. I am drawn to the simple, long cardigan as a practical third piece, particularly as my lifestyle moved away from tailored jackets almost daily. They are warm, comfortable and dress up or down. In my colder climate, I am mindful of what outerwear I pair with them. I tend to prefer that the cardigan isn’t longer than my usual 3/4 length coats. Love this look, I’ve worn it and want to revisit it. Just need to find the right cut and material. I love these! I always wore short cardigans (the kind you often see in twinsets), not long ones, as I often felt that they just never looked good on me. Then one day I was visiting a friend in NJ and I was cold, and had no sweater/warm top to put on. So I ran into the nearest store and bought a sweater – which turned out to be a style similar to the ones you show here, and I liked it on me! Now the store was Walmart and the sweater fell apart after a few washings, so thank you for the reminder that I need to pick up a few well made ones for the upcoming fall season! Cardis are a great practical choice for me. I tend to run warm, so I prefer them to pullovers, and they have the added benefit of allowing me to have that fabulous “third piece” without needing a structured jacket. Really interesting ideas, Angie. I’m intrigued that this could be answer to topper roadblock I found myself in. I have some sleeveless dresses because they were simple and in fun colors and sleeves were HEWI. But I’ve been stymied with all my existing cardi’s and jackets not looking right, wrong length. The trick for me would be, 1 , is there a universal color – it might have to be black, not sure– or a price point wherevu could do flip- flop of 2 main colors for my wardrobe. I slso am unsure of length to target and see that as being inherent in the actual sweater by brand and size– hemming not ususlly being an option. Probably not past knee for my height and frame but right around there. If it has to always be PSL it might not be versatile. Long cardis are so neat! I have two in my closet, both at least five years old. Time to bring them back into rotation this fall. Thank you for the reminder. My favorite way to wear them is with a sheath dress. I’ve been wanting one of these for years! I bought one at Target a couple of years ago, and it pilled immediately and ended up unwearable after a couple of months. Now I’m watching for a better one (of course). I’ll check out these find! I gave my long cardigan away last winter. I could never style it so I didn’t feel frumpy. These renditions look SO modern. Not sure I’m going to try them again but I certainly like these on the models! Oh interesting. I have one maxi cardigan – a black jersey one, which is a little less streamlined than your examples – that I’ve had for years but haven’t worn much in the last year. I’ll have to revisit the look with these guidelines…. Love this Angie, thanks! I ordered the grey one (6th find and last example picture) on Friday and upon seeing your finds above the 5th one in the charcoal boucle. I can see them being very versatile for me with all four of the silhouettes you have shown! I am so excited! I have a lightweight black and a black/white marl that I purchased this spring and now have lots of ideas! I ordered the Leith shawl collar cardigan before I found out the fit was sloppy. I can’t say anything about that since I still haven’t received it! I ordered it thinking it was a more modern look for me and I love shawl collars, but not thinking ahead as to what I’d wear it with. While I have not worn a cardigan in many years, I do enjoy this look. 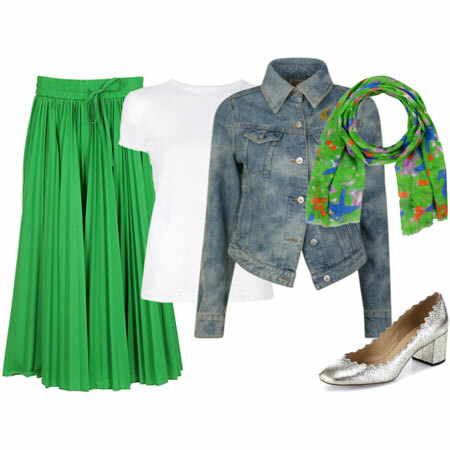 Seeing it over dresses and skirts is terrific, but over cropped trousers and jeans is really fun and fresh-looking. I went back and looked at mine and realize that they are a bit shorter than the examples. Just above the knee. But I think the effect is similar. I would like a just below the knee version as well. 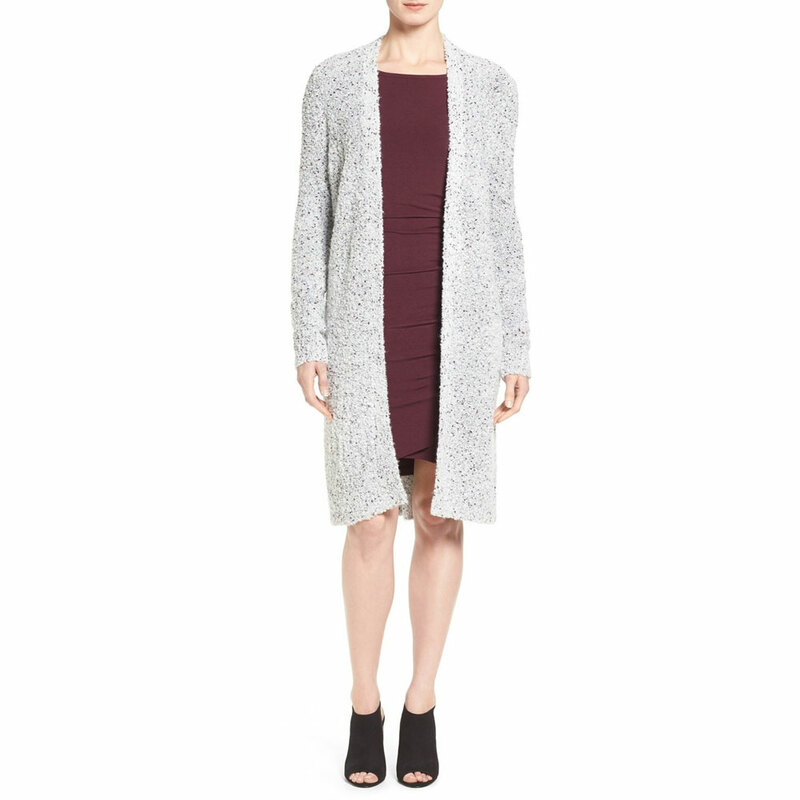 And long cardigans are great for sporty luxe and to elevate loungewear. A staple in my wardrobe. I’m just getting ready to pack for a Northern Germany trip and I didn’t even think of my lightweight maxi cardi. I love the ones you have shown here Angie. I bought one last year that I feel overwhelmed in but I still love. It is very warm and comfy. I love the look with jeans and leggings. I only have two cardigans and they both are the waterfall style that was so popular a couple of years ago. I like them and the length seems to work for me. I think the new longer style might be too overwhelming for me but I will give it a try Look #4 is my favorite. Drawn to the Halogen Merino Cardi–are your clients choosing black over the grey for versatility? Black is a stark color next to the face, my face in particular as I’m fair-skinned (red-head). But I tend to reach for black for cardi’s! So I’m curious your reading on color for this selection–which color you think would be a workhorse and still edgy enough to be interesting. I bought one and am very excited about it. It appeals to my dramatic side Fun ideas! I love this look. 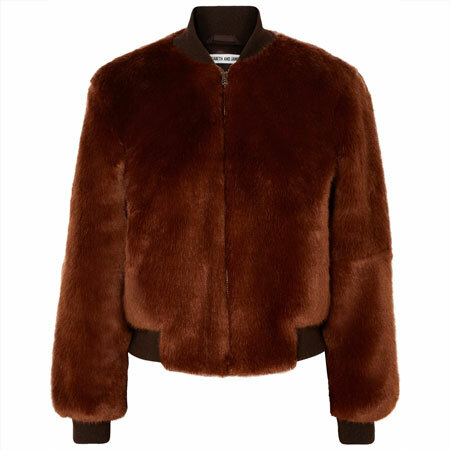 I have a grey one and just ordered a burgundy one. I am 5’3″ and you can make it work. Women love cardigans. I am declaring it a fashion fact. Blast. I forgot to mention that many of my petite clients wear this look with sass and verve precisely because the fit is NOT overwhelming, and knee-lengths are just fine. When the weight of the cardigan is delicate and refined – it’s an even better maxi cardi option for petites. Laura, Scarlet, Debbie and Suz, as shorter ladies, thank you for chiming in that you wear this look well. I KNOW you do. Tanya, the version with the cropped flares is great, isn’t it? I can see you sport the look. Skylurker, that surprises me. Long toppers can look sooo elegant. And you like an elegant look. Leave the seasonally confused gillet wearing to me. BC, the length is actually the point. Cheryl K, if the cardigan brings modesty to the outfit to make you feel more comfortable – why not! Another great reason to wear one. RobinF, the cardigan needn’t be longer than the dress. It can be a similar length or slightly shorter. Joy, the cardigan can also be a lot longer than the dress. Dramatic proportions. Beth Ann, that’s why my clients like cardigans. unfrumped, give this a go over dresses. Donna, I’m sure you’ll rock the look. JAileen, a more streamlined cardi is a my suggestion. 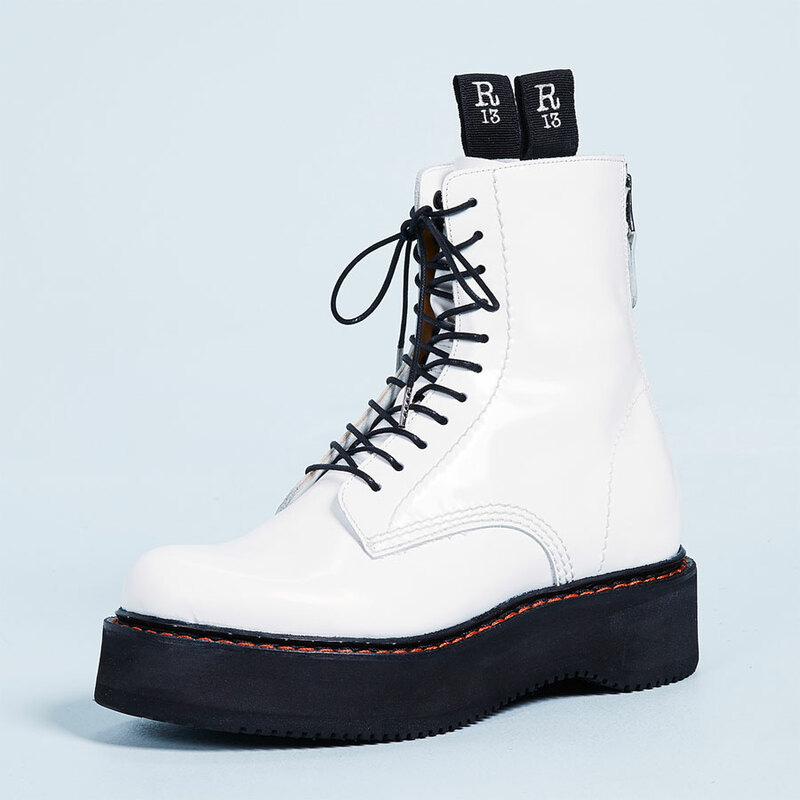 Bonnie, I can see you wear these renditions right away. CJ, neither grey nor black was more popular with clients. It depended on the client’s preferences. You wear your maxi cardi with panache, Amy. One cannot beat the ease of a cardigan, plus it’s softer than wearing a blazer or jacket. I like how clean these cardigans are, without all the frills and varying shaped hemlines that have been common in recent seasons. A nice change, and a dramatic look. I like how these card is mask the hip so give the illusion of longer legs BUT can you wear this under a coat? I hope we see your new cardi in an outfit, Lisap. Lisa, you’re another petite who wears maxi cardigans well. Smittie, YES. If the coat is long enough. I feel so overwhelmed in them but I love them to death. I think I have one in almost every color of the rainbow. I keep them in my trunk for whatever atmosphere I go into. Thank you Angie. From the outfit examples it looks like this is an item that works best over more trim and fitted underneath items. Is this something that would work with my long and loose pants needs? I don’t have one, but picturing it that way just calls up a very bathrobe image. I feel ahead of the game for once, although the maxi cardigan I bought last winter is rust, rather than black, gray, or burgundy. It really did add arty drama to my outfits…and warmth too! I’m looking forward to wearing it next seasons, as well. Maxi cardigans sound ultra comfortable, but I’m on the shorter sie of petite and have trouble imagining there’s a maxi cardigan out there that wouldn’t drag down to my ankles! I love that it’s easy to toss on and makes lots of things look a bit more elevated and elegant. Of course, I’m wearing one now with my morning coffee. These are great ideas. Would never have thought to wear one with flared anything. Must try! I like this look for its style and comfort and I really want to try your examples showing the pencil skirt and the flared crops. The latter one reminds me of your olive shirtdress where you added flared crops, which I found very modern, fresh and flattering. I like styling my maxi cardigan in interesting ways. My favorite is with a long-midi tube skirt and booties. I also had a summer weight one that I loved with shorts. Unfortunately when I washed it, the seams turned and the whole thing was crazy out of shape. I’m not a big fan of Halogen, so I’m hoping to find another when the season is in full swing. These look modern and interesting to me. After doing the whole waterfall thing for a while, I tired of cardigans and purged all of mine. Then last year I added a long one in a nice lightweight knit, streamlined in style, and with deep side slits that help break up the expanse of fabric. I’m short and the long length (below my knee) might not be traditionally flattering but I enjoy wearing it. I don’t need it for warmth right now but I love the idea of wearing it over dress to extend their season from summer to fall. Thanks for these visuals, Angie! I’d love a long cardigan or two. I’ve always loved the look. I do have one in a lightweight wool jersey, but the fabric has unfortunately twisted. so may have to get another as I really like the proportions of them. Looking forward to trying the last option, with the cropped bottoms. The other options aren’t really lifestyle appropriate for me, but I could see myself wearing them if I had a more conventional office job. Love it. Great refresher to a classic cardi. I need one. I love a maxi cardigan and have a few of them. They work well for me as a light layer in autumn and spring, and even on some winter days as a substitute for a coat (yes, winter is that mild here). And they are so much more dramatic than a short cardigan. I will have to try it over cropped pants. I like that idea lot. Thank you for solving one of my problems. I have owned a long black cardigan for several years. It is practical to wear it layered in the older building where I work. I have often wondered how to style it better. 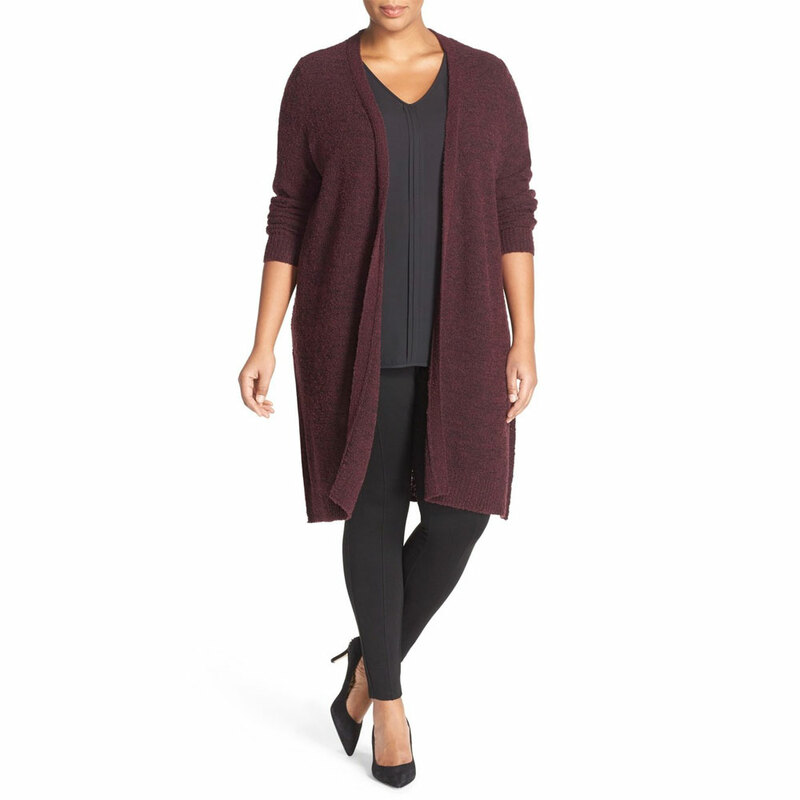 The best that I could do was layered over a burgundy tunic and black leggings, but I added a wide belt, either inside or outside the cardigan, to help me with my wide shoulders and lack of a waist on my tall inverted triangle frame. Flats or booties both work, as you state. Thank you for confirming that I was heading in the right direction and for showing me better ways to feel great wearing a piece that I really like. A way to make those sleeveless dresses practical! I have one, that I bought through ASOS. The quality was so poor though that it has almost become loungewear, or working from home wear. I will upgrade to a better version. I have mostly worn over jeans, cropped pants or ponte pants as a casual item. If better quality I could so it working for many professional settings. I bought one last year. Coz I run cold and more the cloth, more warmth. It’s red but not straight, it’s A line, with a back pleat (reminds me of some Victorian era frocks) and collars that can be buttoned up to create high neck. On sale for approx $50. Now I’m wondering if it’s trendy enough considering all these silhouettes are straight. I love the look and practicality of these cardigans, and bought my first one a few weeks ago. I can see it being a workhorse in my wardrobe, and hope to add more in the future. 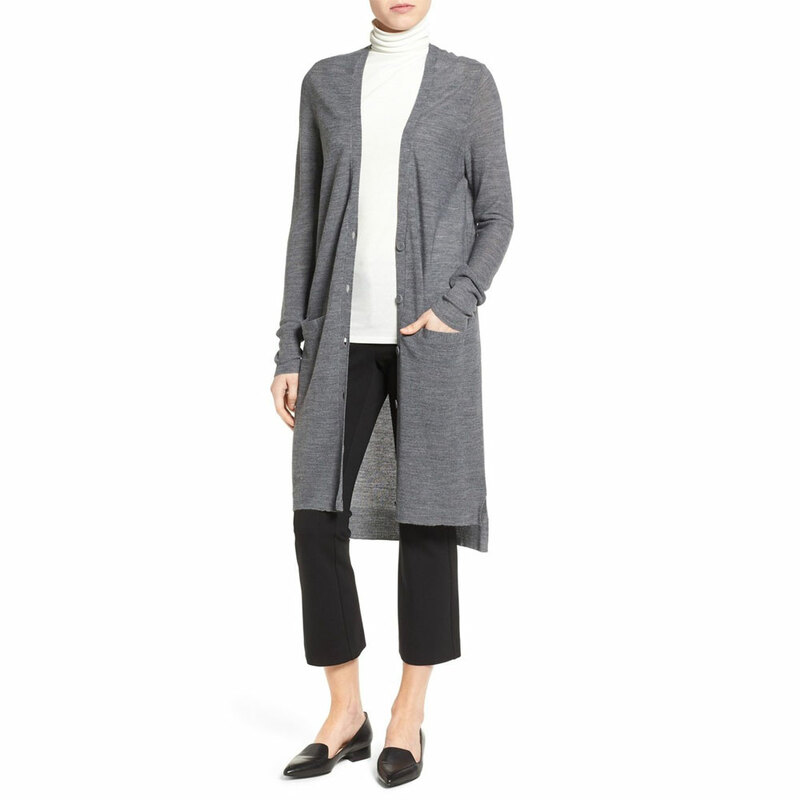 Perfect timing!-) I just ordered the Halogen merino wool blend cardigan and am looking for ideas on how to style it. The long cardigan + cropped flared pants looks so kicky and modern. I’m excited to try all four suggestions. I love the look of these:). I bought a black maxi cardigan some months back and I really enjoy wearing it. Like you say it has drama and I just love how it swishes as I walk;). I was concerned it might be too long but I do think by keeping it simple and being aware of the general proportions of the outfit, it works:). I particularly love the long cardi / cropped pant look. Just bought a navy one too that sits just above the knee…kind of boyfriend style. I received a long cardigan for Xmas last year and never quite figured out how to wear it. This gives me some ideas and hopefully I’ll make better use out of my gift (in a few months when the weather cools down). I missed this post, but now I got idea for my long charcoal cardigan how to wear. All look are great.